Alongside her performing career, Ms. Casey-Clyde is a passionate teacher. She was the Youth Director at the Summer Brass Institute at Menlo park in 2016, helped to organize the 2017 Tanglewood Conversation at Boston University, and is currently the president of the National Association for Music Education chapter at Boston University. 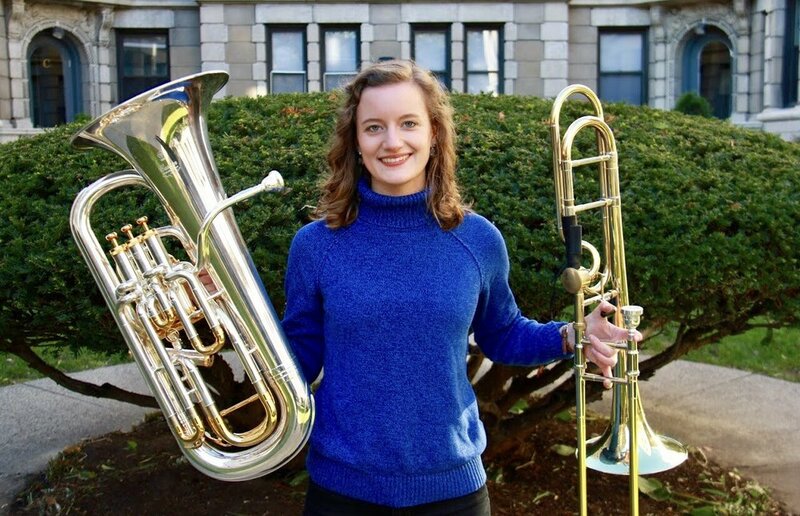 Ms. Casey-Clyde is currently studying euphonium with Mike Roylance at Boston University, and has previously studied trombone at the Royal College of Music with Byron Fulcher and Amos Miller. She can be heard on the ‘London Symphony’ BBC Symphony Orchestra CD, performing Variations for Brass Band by Vaughan Williams, which was recorded with the Royal College of Music Brass Band in 2017.